I first got in touch with Tonix in 2004 and they have now found me three jobs throughout New Zealand. It was in 2004 that I decided I needed a new challenge at work and some more adventure in my life. I had a cousin living in Wellington so I decided that would be a good place to start. 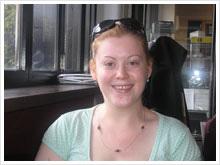 Virginia and the team at Tonix were great finding me a job that suited my experience. I spent six months on an AT&R ward at Kenepruru hospital before going and exploring the North Island for a few months. I had planned to do agency work as I traveled however once I left Auckland I didn’t get any work. I headed back down to Wellington and after a couple of weeks I gave up on the agency work and decided to give Virginia a call. She was marvelous and managed to find me a job in Christchurch within a couple of days! She’s a fast worker! I spent six months in lovely Christchurch before heading back to the UK for the cold dark winter…bad idea! I really love life in Christchurch and pretty much as soon as I arrived back in the UK I decided I was going back. Due to NHS cutbacks I was unable to find a suitable job in the public sector and ended up doing agency work, which broadened my experience but wasn’t a long-term solution. The lack of a decent job made me even more determined to get back to NZ as soon as possible. So, again I got in touch with Virginia and for the third (and we all hope final time) she managed to find me a job. I’m now back in Christchurch and about to start work at The Princess Margaret Hospital. I’d like to say thank you to the Tonix team for all the help and assistance given since I started this journey in 2004. I’d also like to say a huge thank you to Virginia, without all your help, perseverance, and kindness I wouldn’t have made it back. Also, cheers for picking me up at the airport and helping me with my giant bags not once but twice!